Phil’s law enforcement career spanned nearly 33 years. He was employed by the Miami-Dade Police Department (MDPD) in Miami, Florida for over 30 years and retired at the end of 2011. For the last 18 years of his career, Phil was the Coordinator of Forensic Training Programs at the Miami-Dade Public Safety Training Institute (formerly known as the Metropolitan Police Institute). As such, Phil was responsible for administering the department’s Crime Scene, Fingerprint Identification, and other forensic related training courses. As a photography instructor, he was additionally responsible for teaching all of the Department’s photography-related courses. Students from agencies around the world attended these courses. Phil is also an award winning forensic photographer, being named Nikon Evidence Photographer of the Year for 2003. Phil is a past-president and past chairman of the board of directors of the International Association for Identification (IAI), from 2010-2012. 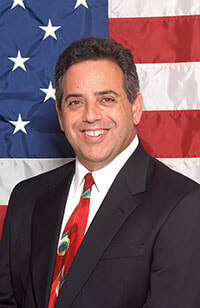 He is also a past-president and past chairman of the board of directors of the Florida Division of the IAI, from 2004-2005. In addition to his work with MDPD and the IAI, Phil served as a member of the Scientific Working Group on Imaging Technology (SWGIT) from 2004-2011. Phil served as that group’s Outreach Chairman for 6 years. Tri-Tech Forensics is proud to have Phil as the Director of our Training program.